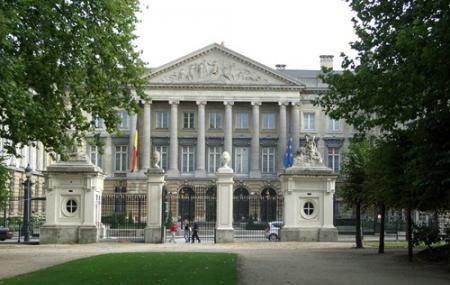 This neoclassical palace built in 1783 is now the seat of the bicameral parliament of Belgium, containing the Chamber of Representatives and the Senate. There are two ways to get inside. The first is to walk in during the session of Parliament, which means you’ll have to find out if Parliament is indeed in session. The second is during non-session times during which the building is open to guided tours only. The tours take you through remarkable rooms and are quite insightful. You can actually watch the sessions from the public galleries. Guided tours must be reserved two months in advance. Photography and filming is forbidden. Try and leave your bags behind. Hours given here are mere guidelines. You should call to see if it is open for visit. Guided tours hours: Depends on appointment. Closed on Sundays, apart from guided tours.